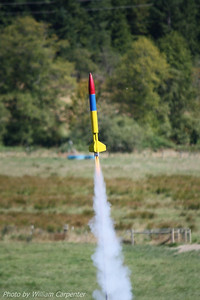 My Photos from OPROC's Pasture Blaster launch. 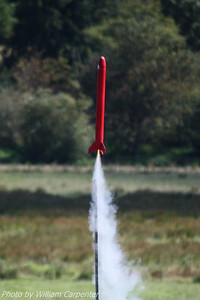 A low-power rocket carrying a key fob video camera lifts off. 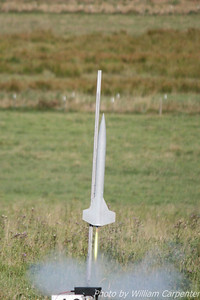 This particular rocket caught on the rod momentarily before liftoff. 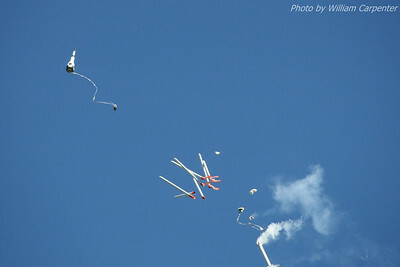 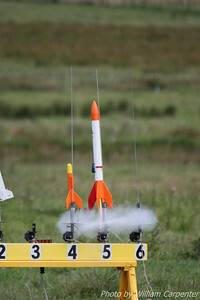 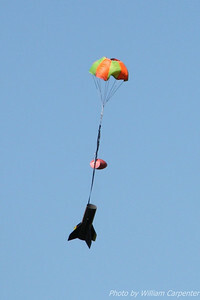 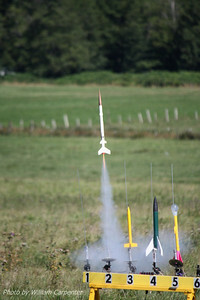 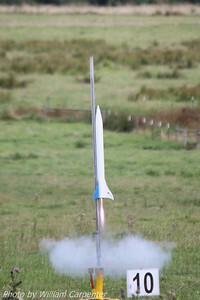 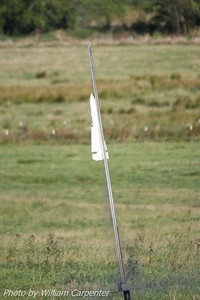 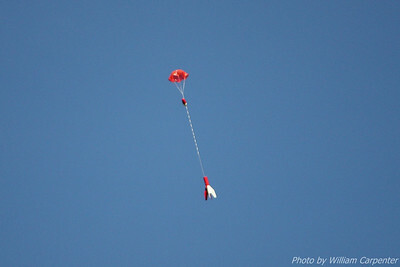 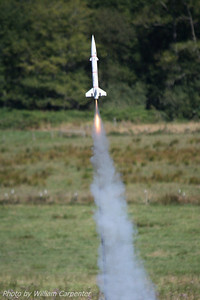 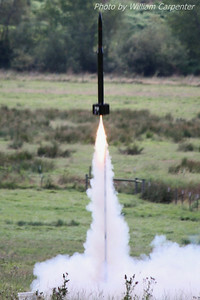 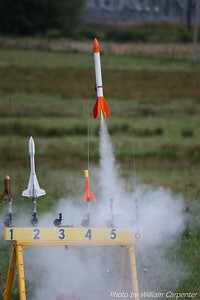 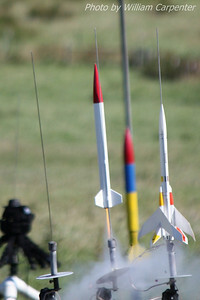 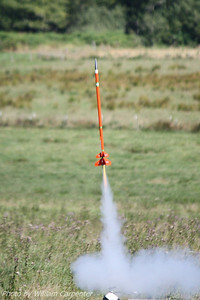 A modern version of the Rock-a-Chute Mk II, the first model rocket, lifts off from the model pads. 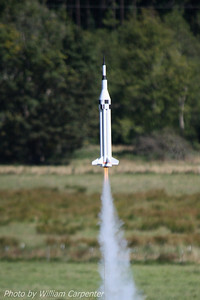 My Madcow Rocketry Solar Express lifts off on a Cesaroni F36 Blue Streak. 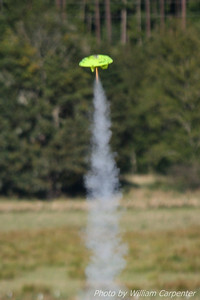 My Solar Express recovers from a good flight to around 850'. 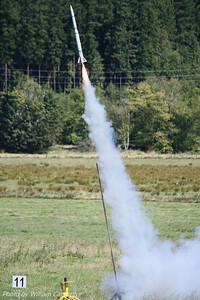 Andrew MacMillen's "Mystic Buzz" launches on an H168. 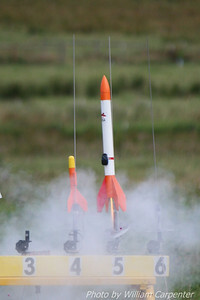 A four-rocket drag race launches from the model pads. 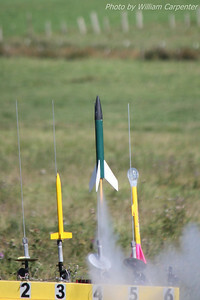 An Estes Snitch lifts off from the model pads. 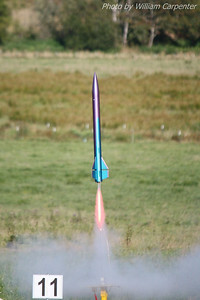 An Estes Baby Bertha lifts off for the 100th flight of the day on Friday. 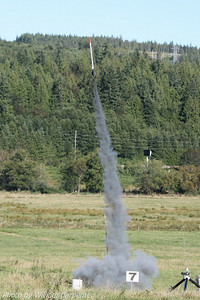 A LOC Cyclotron launches from the high-power pads on the first high-power flight of Saturday. 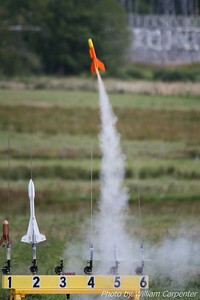 A Goddard-themed model rocket lifts off. 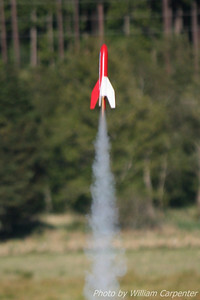 My Red River Rocketry Slipstream lifts off from the model pads on a B6. 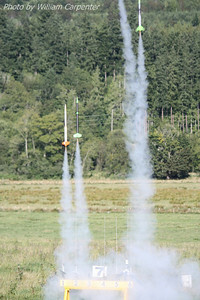 Andrew MacMillen's Estes ARV Condor lifts off carrying its two parasite gliders. 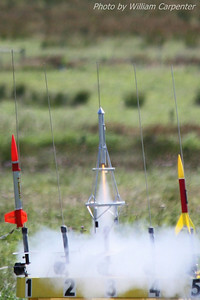 A rocket named "Tranquility Nine" lifts off on a cluster of three B6s. 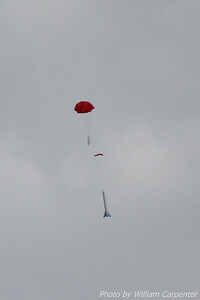 At apogee, Tranquility Nine separates into two body sections and seven pod tubes. 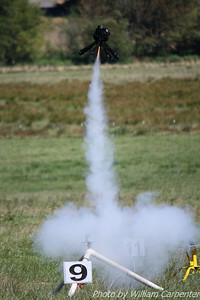 A spider-themed oddroc lifts off on a D12. 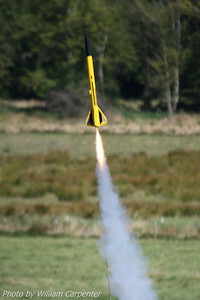 Dave Woodard's LOC Viper III lifts off. 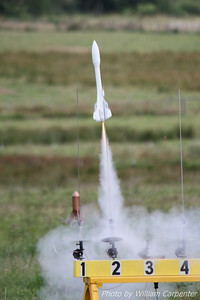 An Estes Super Alpha lifts off. 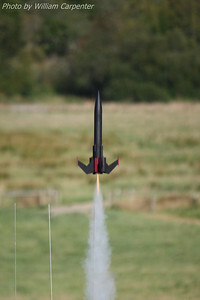 An Estes Comanche III (well, II) lifts off for a two-stage flight. 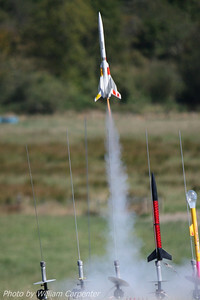 Bill Munds' LOC Stovi lifts off on a cluster of three F35s. 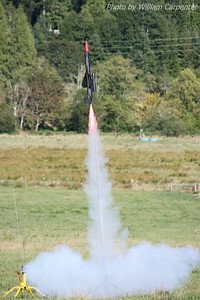 Dave Woodard's BOMARC lifts off on an H168. 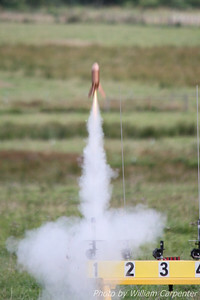 A LOC Weasel lifts off on a G38. 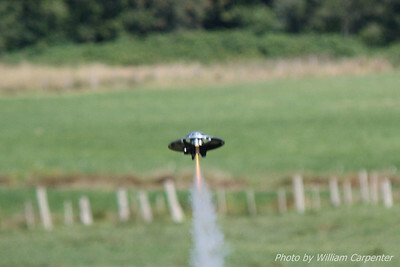 Dave Woodard's Phoenix lifts off from the mid-power pads.